Today I am finally getting round to showing you the final plate from the Beauty Big Bang Christmas stamping plates. This plate is a prime example of a plate that isn't just for Christmas. It has 6 full sized images, 3 of which are Christmas images and 3 of which can be used whenever. The moustache and glasses image would be a great one for Movember. The stripes would be good for one for a Harry Potter mani, Slytherin obviously. An the stars, well, they could be used for loads of different things, it really all depends on your base and the colour you stamp with or fill in with. I went for a simple white nail using a gorgeous custom I got a while ago from Polished By Leanne, called Plus10Kapow. 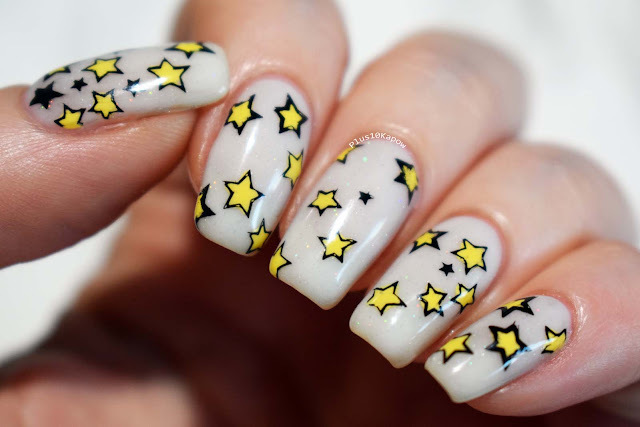 Then I stamped in black using Moyou Black Knight and I filled in some of the stars using NYC Lexington Yellow and picked up the stars I didn't fill in with some tape, then I stamped the image onto my nail and topped off with a coat of Seche. The plate picks up really well and has no imperfections. 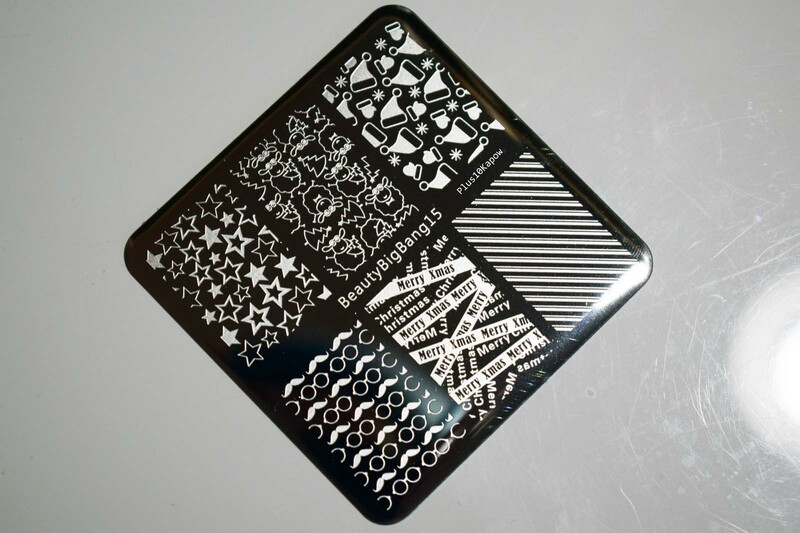 You can find stamping plate 15 here as part of the Christmas plate set for £8.63/$11.99 or here on it's own for £1.86/$2.59. 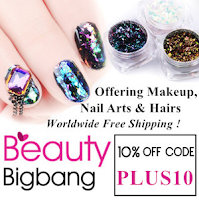 Don't forget to use my code PLUS10 for 10% off your order.